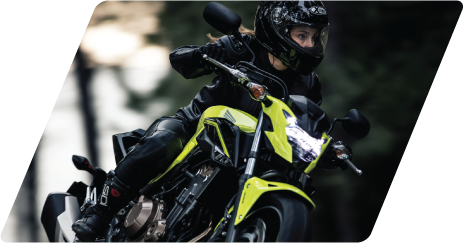 Grafton Motorcycles is proud to offer you the highest quality in motorcycle training located in Milton Keynes with the Honda School of Motorcycling. At Graftons, we know that motorcycling is more a way of life than a mode of transport. 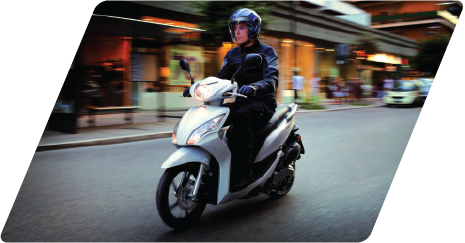 That’s why, as part of our commitment to service and quality, we now offer new riders the licence qualification you need to get you on the motorcycle or scooter of your dreams quickly and easily. 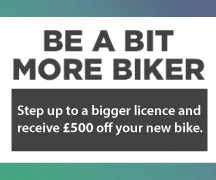 If you already have a licence but have not ridden for a while we also have the course to get you back on the road. 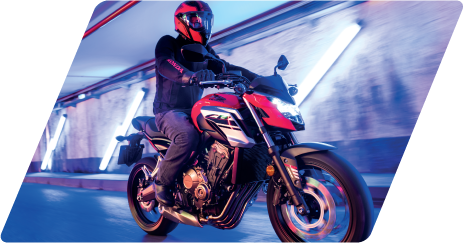 The Honda School of Motorcycling is run from our motorcycle dealership, with training that takes place across Bedford and Milton Keynes. You can be guaranteed a comfortable and professional experience. 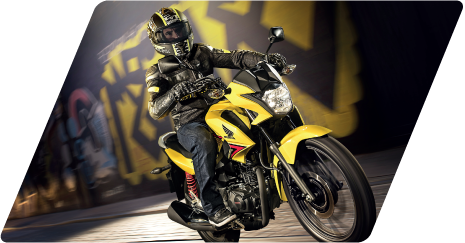 Schedule Your Motorcycle Lessons with Us! At Grafton Motorcycle Training, we know that motorcycling is more a way of life than a mode of transport. I did my A2 licence through Graftons in July this year (2017) - It is now December and I am still living off the buzz of having passed! Although I had ridden a 125 for a couple of years and felt confident on the roads, a bigger bike and the concept of having a 2 part test (+ theory) made me feel uneasy (and that’s an understatement). To top it off, I am 5’2” and could only just reach the floor on most of the bikes I tried sitting on. Tim explained the licence process fully and reassured me that it would all be ok. In fact, the whole experience was not just ok, it was thoroughly enjoyable. Tim was so patient with me and gave me all the confidence I needed to get my licence. He also trained me on the CB500F which was just low enough for me to put my feet on the floor safely. I went on to buy the very same model from Graftons a month later. "I was surprised to how far I progressed in the single day of CBT training. I went from not ever been on a motorbike to been able to operate one through busy Bedford. My trainer Tim was very experienced and patient so some thanks are in order.... thank you. I thoroughly enjoyed myself a little scary at first but Tim's sturdy training was reassuring. Happy to say I passed the training. I followed up with a visit to the local store and not knowing anything about equipment they explained everything in terms I understood plus their aftercare was superb. Look forward to taking my full A1 now." Graftons for me was a great one stop shop for motorbike training through to purchase and then servicing my bike. Having been on a 125 twist and go I wanted to progress to a proper motorbike! Tim at the training school was an excellent tutor. Taking his time to teach the basics and then move on to the more difficult stuff. I thoroughly enjoyed the whole training experience with Tim, He is a first class trainer. He told us to pass the test we need to be the safest motorcyclist on the road, not the best. It worked and i passed first time. I then purchased my Honda Rebel from Graftons, a very quick and easy process and I felt it was a great bike and a great deal. All the staff at Graftons are so helpful. I returned in November to get my first service on my bike, very straight forward, but tempting to book a test ride while your there looking at all the new bikes. From the training team, to the sales team to the service team, Graftons was a great experience. I will be back to test ride the new CB1000 in April, I can`t wait!